Planning of where to take your moms this Mother’s Day? Well, plan no more! 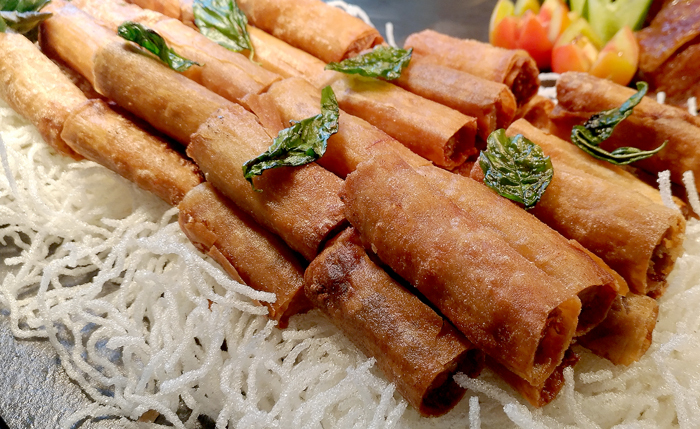 Seda Abreeza, Davao’s urban lifestyle hotel offers you a pleasant staycation package and a lavish buffet spread every doting mom in world will surely enjoy. Every mother deserves a special treat on this special day; hence, the hotel offers families special room packages from May 8 to 14, 2017. And as a special way to honor mothers availing the package, Seda Abreeza will give every mom additional perk by adding a spa complimentary gift certificate that can be used to a pampering session that’s fit for a queen. 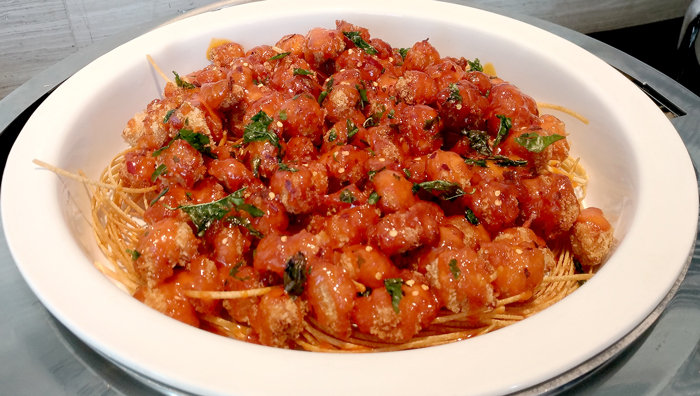 And what’s Mother’s Day without treating moms to a delicious feast? 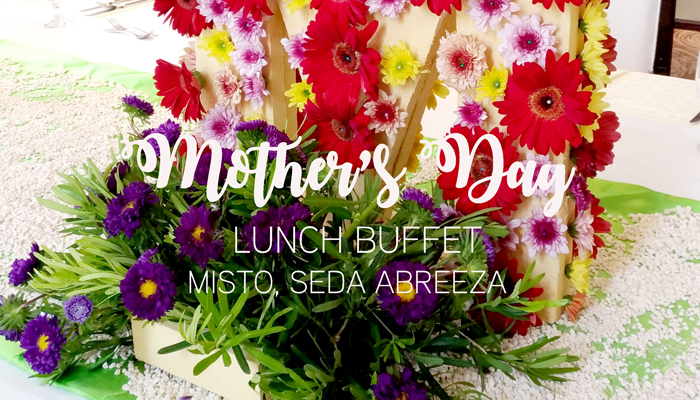 Misto, Seda Abreeza’s award-winning and all-day dining restaurant, offers a Mother’s Day Lunch Buffet you’ll never forget on May 14, 2017. 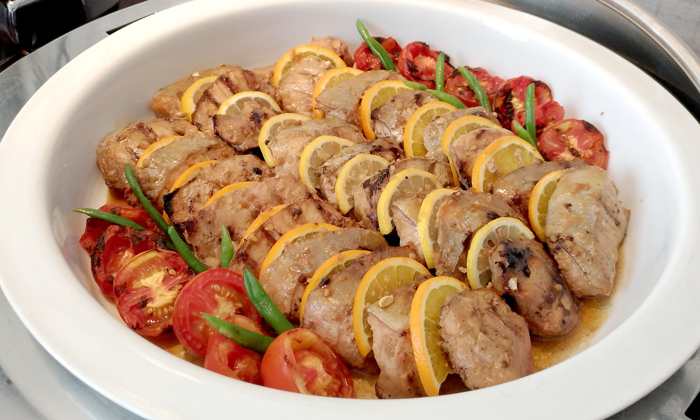 Executive Sous Chef, Giovanna “Bang” Flores, a mother of two herself along with her award-winning culinary team, assures a buffet spread that will surely satisfy everyone to their heart’s content. Here’s a sneak peek of what’s in store for you on Mother’s Day at Misto. 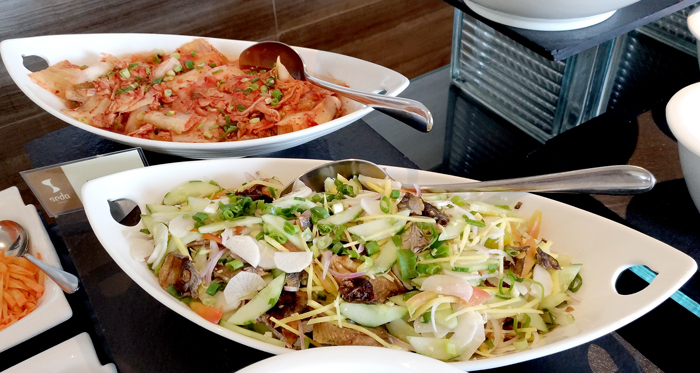 For cold starters, you'll have a choice of Bacon and Potato Salad with Honey Mustard Dressing , Kimchi, Chicken Macaroni Salad, Native Ensalada. There’s also a salad bar with fresh greens with dressing and condiments. Cream of Broccoli, Soft Rolls and Butter for the soup. 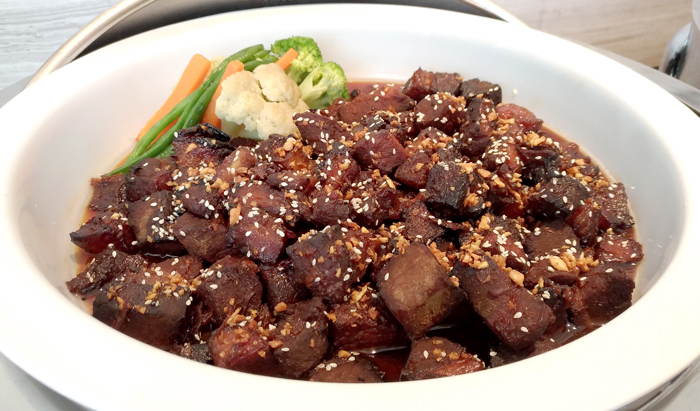 Misto’s all-time impressive Roasted Angus Beef Short Plate will also be a highlight along with Pork Lechon, Pork Fried Spring Rolls and Pizza Margherita. 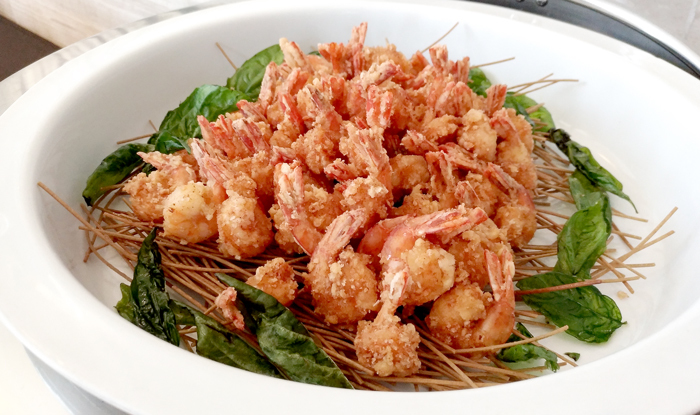 The spread for the main dish will have; Baked Honey Pork Garlic, Deep-Fried Shrimp, Bang-Bang Chicken, Grilled Tuna Belly with Citrus Butter Sauce, 3-Cheese Baked Lasagna and Pandan-scented Steamed Rice. Misto, as always doesn’t disappoint when it comes to dessert. 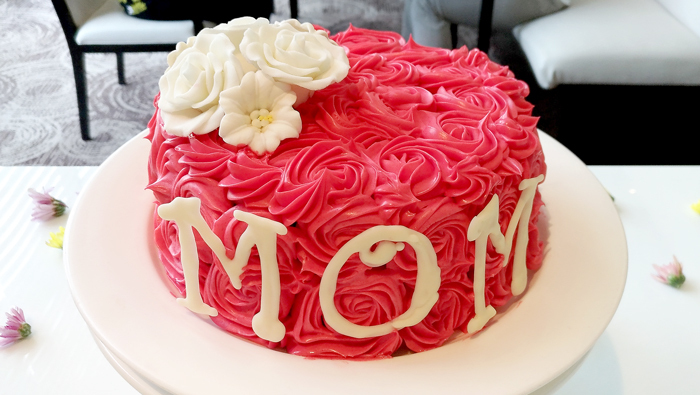 This Mother’s Day, they have these selections to make the day even special. 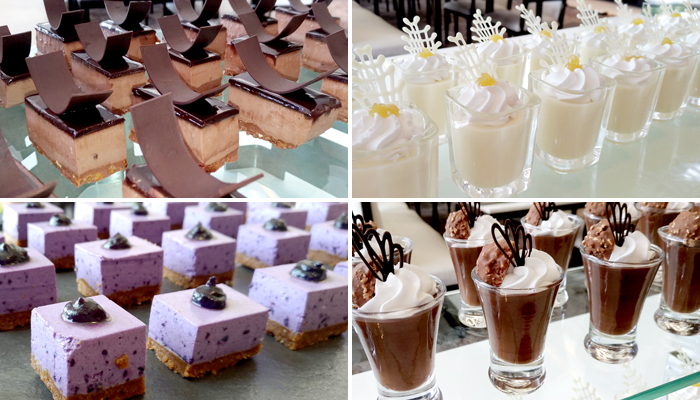 You’ll have choices of Durian Panna Cotta, Rose Choco Moist, Cupcakes, Mother’s Day Cake, Ferrero Rocher Mousse, Ube Cheesecake, Almond Roca Chocolate Finger, Fresh Fruits and Cream and the summer favourite, Halo Halo. 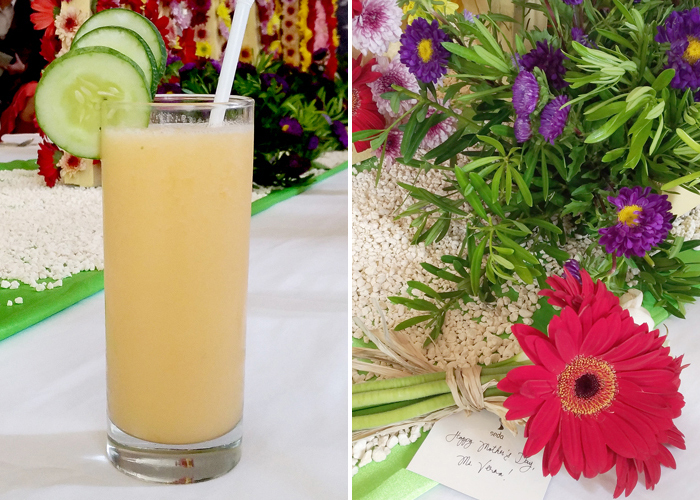 Only for this occasion, Misto prepared a special hearty and healthy beverage for our deserving moms – The Cucumber and Cantaloupe Smoothie. Ask your server for this special drink. Thank you Seda Abreeza for the flowers, you're the sweetest! And in time for Mother’s Day, Misto’s new signature dessert that’s proudly Dabawenyo will be available on the ala carte menu. 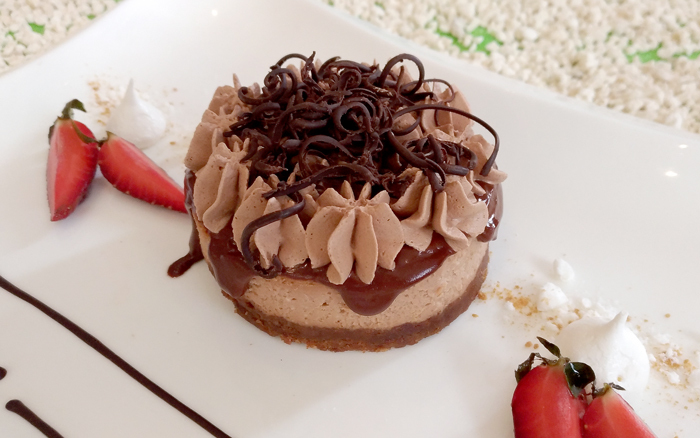 It’s Malagos Dark Chocolate Cheesecake. It’s made with Malagos Dark Chocolate and Malagos Signature Chevre Cheese. 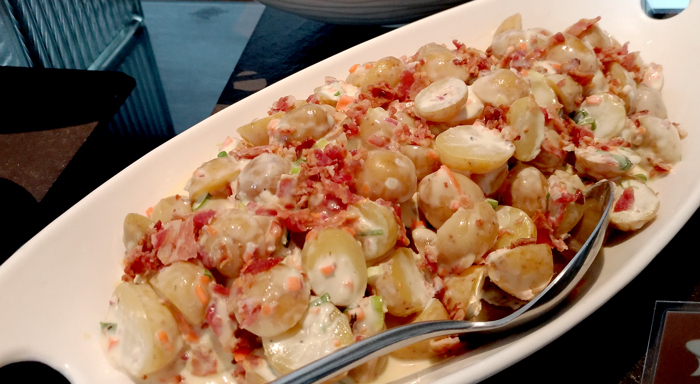 Experience Davao on a delightful plate, ask your server you want to try one. and free for kids aged 6 and below.